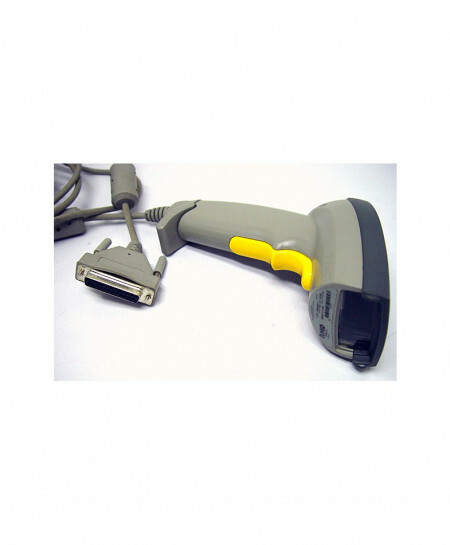 The Symbol LS4000i handheld barcode scanner offers high performance scanning at a moderate price point. From the retail point-of-sale and backroom to the patient bedside or school book checkout, the LS4000i provides fast, reliable scanning in a durable, lightweight form factor, delivering enhanced productivity and efficiency while reducing your total cost of ownership (TCO). With aggressive scanning capabilities and a wide working range, the LS4000i accurately captures data fast, helping employees work quickly and efficiently. And you'll be up and running fast, because the Symbol LS4000i is easy to deploy and use, thanks to a plug-and-play installation and intuitive, user-friendly design that requires little or no training. Plus the ergonomic, balanced form factor reduces user fatigue to maximize user comfort. The LS 4000i Series is the result of Symbol's experience in the design of innovative, high-performance scanning solutions. The LS 4000i incorporates a 650 nm laser that provides a bright scan line ensuring easy aiming even in high ambient light conditions. Combine this with a robust working range of contact out ot more than 16 in. on 100% UPC codes and bar code data capture is a snap. Plus built-in Adaptive Logic Signal Processing decodes poorly printed and damaged bar codes.